A group of space pioneers determined to launch Kyrgyzstan’s first satellite has opened a new school for girls in a bid to break down the region’s gender stereotypes. 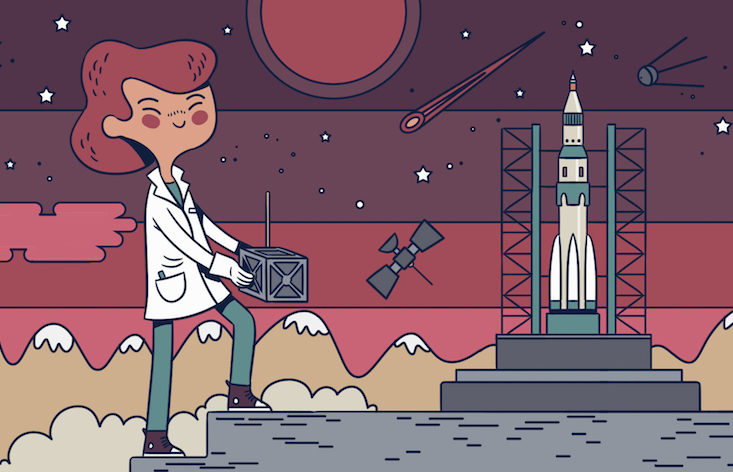 The all-female team at the self-titled Kyrgyz Space Agency will be working together to create and launch a CubeSat — a low-cost satellite favoured by amateur space explorers. Local girls and women will work together to decide on the satellite’s function and purpose before designing and building the module with guidance from mentors at NASA and the Indian Space Programme. The project was launched by the Kloop Media Foundation, a Bishkek-based group of young reporters covering politics, corruption, and human rights violations. They described the school as a response to the “horrifying injustice” faced by local women. To find out more about the project, or to send your donation, visit the team’s Patreon page by clicking here.